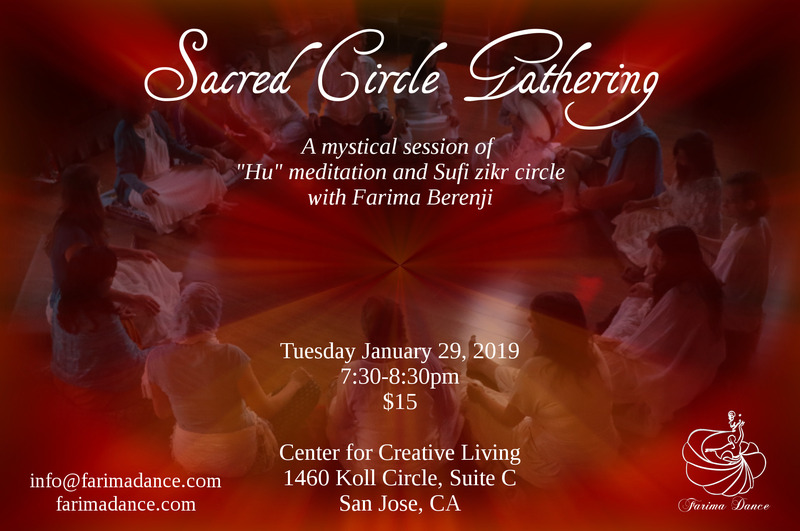 An evening of ancient mystical healing rituals including breath work, Sufi zikr circle, Hu meditation, sufi walk meditation, and more facilitated by Farima Berenji. Open your heart, body, and mind in this mystical session of meditation, breath work, and healing led by Farima Berenji. We will seek the foundation of spiritual healing in the mysticism of vibration and sound, realizing how all life emerges from silence, and all things have sound hidden within them. We will open by awakening the soul in meditation to the word “Hu”, the breath of the devine, God, then journey into healing with Farima’s unique 5 element breath therapy, zikr (Sufi prayers), candle gazing, and walking meditation. Farima is an award winning, internationally acclaimed performing artist, instructor, dance ethnologist, and archaeologist. Recognized as one of few world experts and scholars of Persian dance history, Farima infuses spirituality into her dance and teachings to impassion, empower, and inspire. She is the founder and artistic director of the Farima Dance Company and the Simorgh Dance Collective. Exposed from youth to various music and dance styles her love of dance has led her upon an extraordinary life-long journey throughout the world, including her home countries Iran and Azerbaijan as well as other neighboring Silk Road countries, where she has researched, studied, and performed with master teachers and performing artists. For over 15 years, Farima has continued her passion traveling great distances to learn, research, lecture, promote, perform, and to teach sacred, classical, and folk dances of the Silk Road. The nearest cross streets for the Center for Creative Living are 4th St and Koll Circle. Drive into the parking lot and proceed to the left, AROUND TO THE BACK of the building. It is well lit and there is plenty of parking. Enter through the back door.